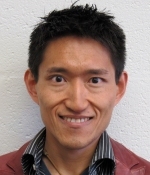 The Department of Physics and Astronomy is proud to announce that Akimasa Miyake has been promoted to Associate Professor. Miyake's research focuses on Quantum Information, Quantum Computation, Quantum Many-Body Physics. Congratulations to Akimasa on this well-deserved promotion. We wish him a long and successful career in our department.